A colorful sunrise in uptown Charlotte, North Carolina during the foggy morning rush hour. 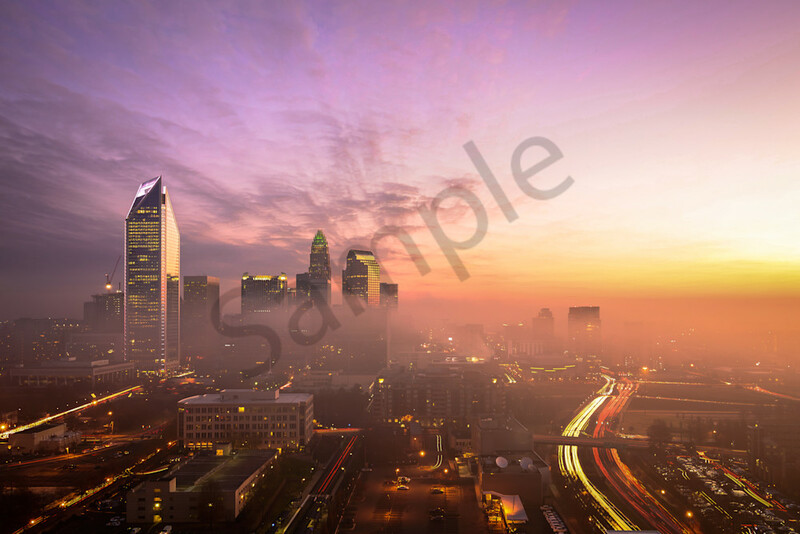 The colorful sunrise over Charlotte, North Carolina happens at night also. Many buildings have added LED lights to their buildings to give Charlotte a splash of color to the skyline. Bank of America recently upgraded their crown at the top of the builiding.